Firstly my memory of Prof. Dr. Halil İnalcık who said: “Professor Akgündüz. Most Republican era historians often do not speak Arabic. They also usually do not focus on Islamic sciences as their own discipline, especially fiqh (Islamic Law). Yet these disciplines are the cornerstones for a sound interpretation of the Ottoman History. Thus it is essential to know Arabic, Persian and the Islamic Sciences. You are able to do this. This project would provide younger generation scientists a better start-line. A) DICTIONARIES OF HISTORICAL LITERATURE are NOT FULLY SUFFICIENT. The important works that can come to mind in this regard are, of course, the recent publication of Mithat Sertoğlu’s Ottoman History Literature, Mehmet Zeki Pakalın’s giant collection of Ottoman History Idioms and Terms Dictionary. These are not enough in two respects: the first is in the sense of quantity. If you compare only the names under the heading ‘resm’, one will realize that the amount in my dictionary is twice as much. The same is true of most jargon concepts and expressions. The most important reason for this is that not all Ottoman laws have brought to surface. Second, it is in terms of quality and content. Because there is much confusion on concepts such as çift resmi, bennâk resmi and the misinterpretations in some materials are continuing in most cases. An important reason is the representation of official historical understanding led by Ömer Lütfü Barkan, Fuat Köprülü and others. Moreover, if the scientific errors in the literature which have been recently copyrighted are taken into consideration, it is indeed necessary to re-examine all the Ottoman historical records. For example, in some dictionaries, the word abdâl is transmitted as the plural ebdel. However, in Arabic it is the plural of bedîl. Bedîl means good, beautiful and distinguished and it means Evliyâullah cemââ’ti. In addition, it is a Turkmen tribe in Anatolia. Some words have been confused such as إبداع and إبضاع. B) AVAILABLE OTTOMAN LEGAL DICTIOANRIES IS NOT SUFFICIENT IN THE SOCIETIES. 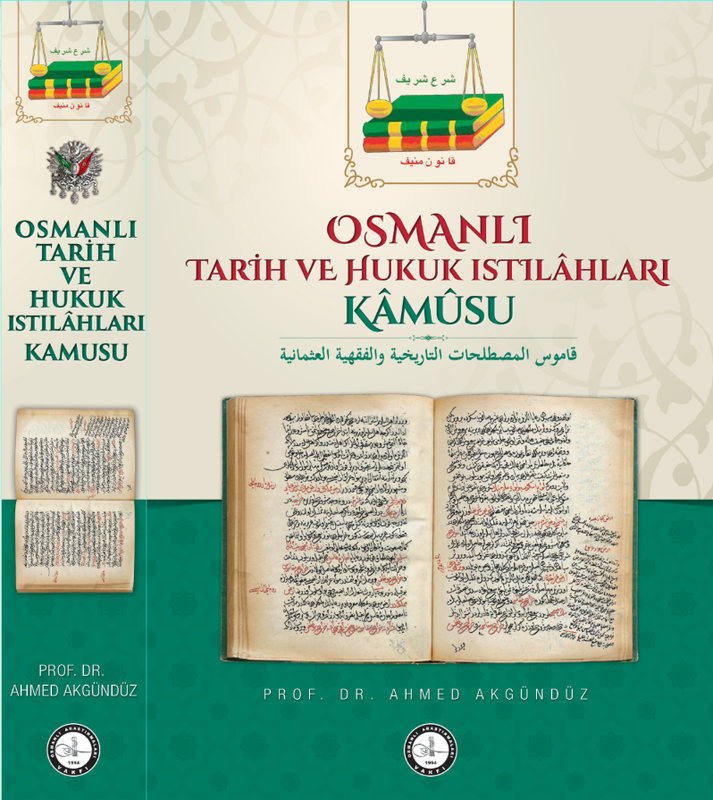 What comes into mind is the magnificent collection of Umar Nasuhi Bilmen’s eight volumes of Hukuk-ı Islamiye and Istılâhât-i Fıkhiyye Qamusu; the Islamic Law dictioanry of Elmalili Muhammad Yazir; the fiqh items in the Encyclopedia of Islam by D‎‎iyanet have included as a result of great research, and the old and new monumental Arabic books (Muhammad Lügat’il of Muhamed Keeper of Muhamed Keeper, by his work Kehshafuu Istılâhât’il-Fünûn of Tehânevî his work called Fukahâ.). The only missing thing is that some legal and historical terms seen in the Legal Codes are not included. As we have already mentioned before, the works relating to the Islamic Law, without examining the Ottoman practice, are not of sound judgment; but are inadequate.